Telefónica Global Solutions completed a long-distance, 100 Gbps IP-over-DWDM (IPoDWDM) technology trial with Cisco. The trial used integrated coherent 100 Gbps optical interfaces in the Cisco CRS Carrier Routing System (CRS) to generate a standards-compliant 100 Gbps "alien wavelength" directly into Telefonica's existing submarine network between Boca Raton, Florida and Puerto Rico. The total distance was a record-setting 4,000 kilometers (nearly 2,500 miles). The underwater round trip span consisted of DWDM transport systems from multiple vendors – the longest such IPoDWDM test ever completed. Additional shorter tests using only terrestrial fibers were also successful. Cisco said that integrating the DWDM components into the router eliminates the need for a costly external transponder. Its nLight coherent technology also eliminates the need for additional dispersion compensation units and electrical and optical regeneration equipment that cannot be added to an existing submarine cable links. This helps further reduce capital and operational expenses. 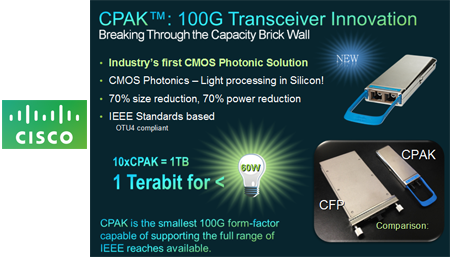 "Integrating long-haul transport interfaces such as coherent 100Gbps IPoDWDM into routers lowers capital expenses while helping to ensure that bandwidth demands on service provider core networks can easily be met. Proving that our nLight silicon works to 4,000 kilometers shows that IPoDWDM is ready to be deployed on many of the world's submarine and terrestrial links," stated Bill Gartner, vice president and general manager, High-End Routing and Optical business Unit, Cisco. ViaSat awarded a contract to Boeing to build the world's highest capacity satellite for launch in mid-2016. ViaSat-2, which is based on ViaSat's next generation, Ka-band satellite technology and architecture, will double the bandwidth economics of ViaSat-1 while simultaneously increasing its coverage footprint by seven-fold. Coverage for ViaSat-2 will include North America, Central America, the Caribbean, a small portion of northern South America as well as the primary aeronautical and maritime routes across the Atlantic Ocean between North America and Europe. ViaSat said improvements to its SurfBeam networking technology will yield performance "commensurate with high-speed fiber-to-the-node networks (FTTN)." ViaSat-2 will be based on the Boeing 702HP satellite bus. ViaSat and Boeing also signed a strategic agreement to jointly market and sell satellites systems based on ViaSat-2 technology. "The market success of ViaSat-1 class satellites has highlighted the magnitude of the opportunity for truly competitive satellite services," said Mark Dankberg, chairman and CEO of ViaSat. "It's clear that superior bandwidth economics in space create competitive advantages on the ground, in the air, and at sea, compared to other satellite and terrestrial alternatives. ViaSat-2 represents a significant breakthrough in broadband satellite technology – for the very first time combining extremely high bandwidth capacity with very large coverage areas. 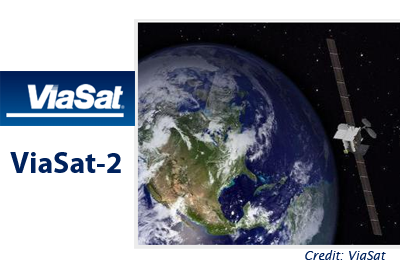 ViaSat-2 will make it possible to offer superior in-flight connectivity on applications ranging from JetBlue leisure flights to the Caribbean to U.S. government aircraft traveling to Europe or Latin America, to critical national and Homeland Security missions. ViaSat-2 will also combine unprecedented capacity and coverage with operational flexibility – solving historically intractable issues in geographical distribution of bandwidth demand, capital investments, and system performance. We believe ViaSat-2 is more than just state-of-the-art technology, it's a great investment." ViaSat's "Exede" Internet satellite service for North America is powered by the ViaSat-1 satellite, which iffers the highest capacity commercial satellite to date with 140 Gbps of capacity. The Exede service offers up to 12 Mbps downstream and 3 Mbps with plans starting at $50 per month. 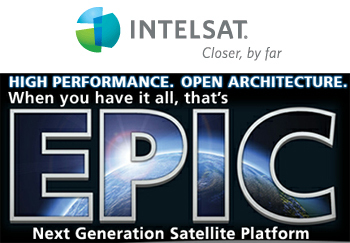 In September 2012, Intelsat selected Boeing's 702MP platform for its first EpicNG high-performance satellite. The number of device connections to amenity Wi-Fi hotspots via Devicescape's Curated Virtual Network (CVN) has grown by 50 percent in the last year. Devicescape said it now manages 1.5 billion monthly consumer Wi-Fi connections via client applications provided by mobile operators and device manufacturers. Devicescape's CVN now numbers more than 12 million individual hotspots and is expected to reach 100 million by the end of 2017. "The fundamental logic of Devicescape's Curated Virtual Network has been established for mobile operators, device manufacturers, hotspot owners and consumers," said the company's CEO, Dave Fraser. "And the logic applies whether the motivation is to ease cellular network congestion, maintain viable margins or to provide best-in-class quality of experience. Seamless access to an actively and intelligently-curated network of amenity Wi-Fi hotspots puts the consumer in touch with capacity when it's most needed." Devicescape is introducing a "Personal Curator" solution that uses the company's intelligent network selection software to simplify initial connectivity to home Wi-Fi and maintain efficient connectivity on an ongoing basis. The solution is aimed at smartphone users that have either never connected to the home Wi-Fi network or have inadvertently opted out by turning off their Wi-Fi radio. The company estimates that 30% of smartphone users are not using their home Wi-Fi. The Personal Curator has the ability to switch the Wi-Fi radio on and off based on parameters set by the mobile operator around network conditions and usage behavior to ensure the best Quality of Experience (QoE) and conserve battery life. In addition, the software provides operators an in-depth trend analysis of subscriber usage, including cellular, private and public Wi-Fi data consumption. Devicescape has concluded and announced agreements with eight significant cellular operators in the North American and European markets over the last 12 months. 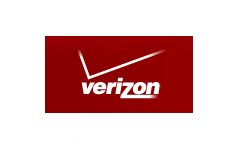 Devicescape has recently signed direct agreements with both Intel and Microsoft (licensed by Verizon), which will dramatically increase the number of devices with native support for CVN connection and/or identification. At next week's CTIA 2013 in Las Vegas, Devicescape is releasing a free Android app to help users automatically connect to thousands of free Wi-Fi hotspots around Las Vegas. If a Wi-Fi hotspot is deemed to have an insufficient signal, the user is automatically switched back to mobile data. This gives a taste of what it’s like to have the Devicescape client installed. T-Mobile has chosen the Cisco ASR 5000 Series to manage its mobile data traffic from its new LTE network and 2G/3G infrastructure in the Czech Republic. Cisco said its ASR 5000 routing platform will help enable T-Mobile to optimize video transmissions and offer customers a broader range of multimedia services. 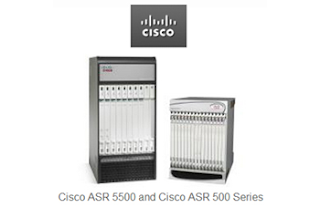 In addition, the ASR 5000 Series can help T-Mobile reduce signaling overhead, distribute session management, and take full advantage of the network's control and user plane capabilities.Deployment gets underway this year. Financial terms were not disclosed. MegaFon, one of Russia’s largest telecom operators, is upgrading its optical network with metro DWDM equipment supplied by NEC Neva Communications Systems (NEC) and Transmode. The delivery has been made to six of the eight branches of MegaFon under a frame agreement of expanding the operator’s network capacity. Financial terms were not disclosed. Hibernia Networks is expanding its relationship with CoreSite to include deployments in both Boston and New York. Specifically, Hibernia Networks is providing a subsea cable connection into CoreSite’s Boston facility, as well as an Ethernet deployment in CoreSite’s New York facility. The companies said the new gateway in Boston will ensure an ultra-low latency, direct route between Boston and Europe, ensuring the highest reliability and peak performance. This deployment will serve as a new data node for IP peering in the Boston market. CoreSite's Boston campus, which borders Cambridge and Boston's Central Business District, brings together a community of more than 70 content distribution networks (CDNs), tier 1 carriers, cloud computing providers and systems integrators. 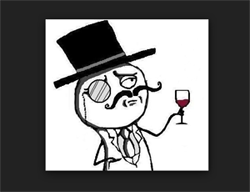 A court in the UK sentenced four LulzSec members to prison for their roles in prominent cyber attacks in 2011. Ryan Cleary (aka Viral), Jake Davis (aka Topiary), and Ryan Ackroyd (Kayla) received jail sentences ranging from two to two-and-a-half years. Mustafa al-Bassam (aka T-Flow) was given a suspended sentence because he was 16 at the time of the attacks. Between December 2010 and June 2011, LulzSec claimed responsibility for a series of brazen cyber attacks, including denial of service (DDoS) attacks against the websites of Sony, News International, PBS, Visa, MasterCard, and PayPal, as well as hacks or DoS attacks on foreign government computer systems. Hector Xavier Monsegur, also know as "Sabu", "Xavier DeLeon", or "Leon", pled guilty on August 15, 2011 in U.S. District Court to a 12-count information charging him with computer hacking conspiracies and other crimes. His testimony is believed to have led to the arrest of the other members of LulzSec. When Congress last overhauled U.S. telecom rules -- the 1996 Telecommunications Act -- many of today's technologies were closer to science fiction than fact. Speaking at the Media Institute on Thursday (May 16), Craig Silliman, Verizon's senior vice president of public policy and government relations, called for a proactive, flexible policy approach to replace outdated regulations. "The act could not have anticipated the policy challenges that we would face 20 years later, particularly given the extraordinary rate of innovation," Silliman said. "It has been only six years since the first smartphone was released, so 20 years is an eternity. What guidance does the 1996 act provide in a world where everyone is carrying a broadband cloud-access device with them? Where video content can be accessed anytime, from anywhere? Where these technologies are beginning to be applied to broader societal challenges like healthcare, energy management, education and more? Not much. Nor should we expect it to." "By eliminating antiquated rules, focusing on meeting consumer needs, and encouraging investment and innovation, we will create the right environment for delivering the amazing promise of broadband and wireless technologies," he said. "And in place of optimistic uncertainty, such policies will create a spirit of innovation and a sense of limitless opportunities."